For many walkers the introduction to Alston Moor is the walk up from Dufton on the Pennine Way, over Cross Fell and down in to the picturesque village of Garrigill at the head of the South Tyne valley. This encompasses what Alston Moor has to offer – high Pennine hills with large tracts of open moorland interspersed by quiet picturesque valleys providing a wide variety of walking opportunities ranging from a leisurely stroll around Alston to an energetic climb up to some of the high points of the Pennines. On the Walking Literature page we give information on published walks in the area and these are referenced below. Both the Pennine Way and the South Tyne Trail follow the river from Garrigill all the way down the valley to Lambley where they diverge. The official start of the South Tyne Trail is four miles south of Garrigill at Tyne Head, the source of the river (walk 19). The ambitious walker can continue on to the Tees and follow this to its source way up on the slopes of Cross Fell (walks 18, 27 and 76). Another highlight south of Garrigill is Ashgill Force (walks 3,19,39,58 and 86). There are several paths along the valley between Garrigill and Alston and these give rise to several circular walks one of which is the Garrigill Round, from Garrigill to Alston and back via a different route (walks 20,29,40,41 and 70) or for only a part of the route (walks 2,7,60 and 65). The less ambitious may wish to sample the South Tyne Trail nearer Alston by walking out to Bleagate via Annat Walls and Natrass Gill and returning via the the Pennine Way/South Tyne Trail (walks 6,38 and 63). 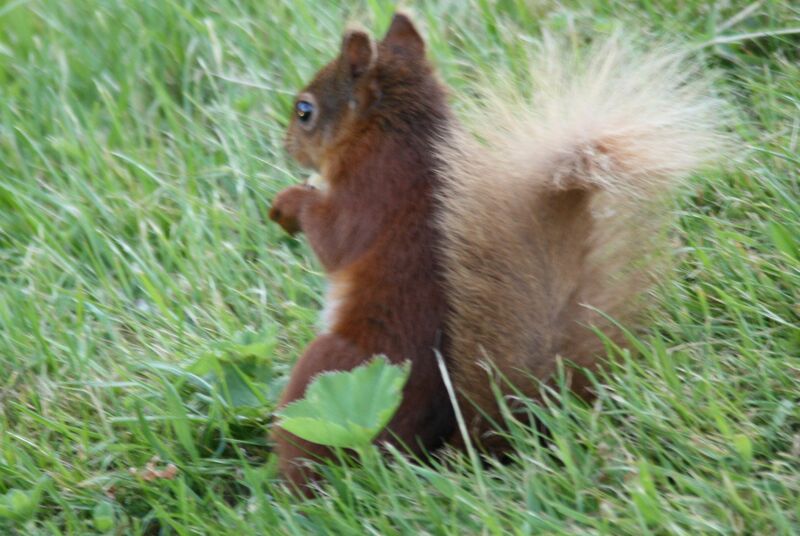 With all the wildlife around Alston you might even be lucky enough to catch a glimpse of one of the native red squirrels for example. In Alston the South Tyne is joined by its tributary the Nent, one of the shortest rivers in England from its source at Nenthead to its confluence with the South Tyne in Alston. There are walks within the Nent Valley from Nenthead to Nentsberry (walk 4) and from Alston out to Blagill (walks 5 and 37) passing several picturesque waterfalls. North of Alston the Pennine Way parts company with the river, climbs slightly and passes Epiacum, the best preserved Fort in the Roman Empire, whilst the South Tyne Trail runs alongside the South Tynedale Railway. They meet at Kirkhaugh, Lintley and various other places down the valley. In addition there are several other paths on the other side of the river. As a result there are innumerable circular walks out on one of the paths and back on the other (walks 8,9,21,22,51,59 and 61) There is also the possibility of taking the train out to Kirkhaugh or Lintley and walking back or vice versa. 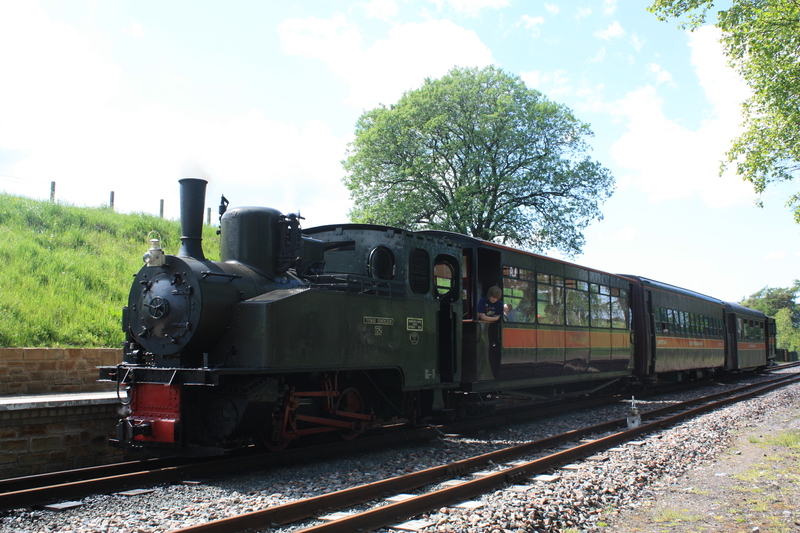 A series of excellent leaflets produced by the South Tynedale Railway, and available from the Railway Station and local Information Centres, describe four such walks (33,34,35 and 36). More information about these railway walks and the area in general will soon be available from the STR’s new Discovery Centre due to open in early 2016. South of Lintley, the South Tyne Trail continues along the old railway line passing Slaggyford station and eventually crossing over the spectacular Lambley viaduct (walks 10,11,12,13,23 and 30). 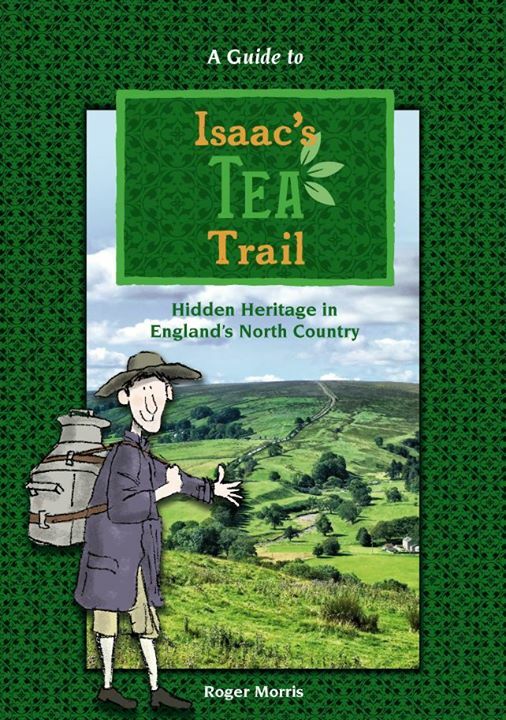 The third trail in the area is Isaac’s Tea Trail. Walk in the footsteps of the legendary tea seller, Isaac Holden. The 36-mile trail starts in Allendale and passes close to Nenthead and Alston. The walk is in four parts: Allendale – Nenthead – Alston – Ninebanks – Allendale. (see walk 44). This goes over the moors to the East of Alston and passes through the West Allen Valley. For other walks in this area see walks 14,15,42. For those wishing to go a little higher there is the walk up The Dodd (walks 16,67,77). For those wishing to sample a bit of Cross Fell there is the walk up the Corpse Road from Garrigill (walk 1). For those wanting to go all the way see walks 17,52 or for the really ambitiuous try Tyne – Tees – Great Dun Fell – Cross Fell – Garrigill (walk 66). A visit to Greg’s Hut, Alston Moor’s only mountain bothy, near the summit of Cross Fell, should not be missed and could be a life-saver if caught out in bad weather. Thanks go to those volunteers who maintain this essential facility. Not far from Cross Fell is the Maiden Way, the second highest Roman road in Britain and an excellent route from the Eden Valley to Alston Moor (walk 26). A little less strenuous is Flinty Fell from either Garrigill, Ashgill or Nenthead (walks 47,54,70) or Nag’s Head from Nenthead (walk 32) or for more of the area around Nenthead , in particular its mining heritage (walk 46). The North Pennines is sometimes referred to as England’s Last Wilderness and one way to sample this is on one of the many Open Access walks in the area. To sample the high points try the North Pennine ridge south from Hartside over Cross Fell then complete the ridge from Hartside to the north. For more about the hills surround Alston see the special section on North Pennine Hills. Should you be on the northern section of the ridge between Tom Smith’s Stone and Cold Fell you could make a detour to Croglin Fell. Croglin’s one claim to fame is its association with the Phantom of Croglin Grange. Long before Bram Stoker’s Dracula and more real, there were a series of vampire attacks attributed to the “Croglin Bat”. It is unlikely that you will meet any such creature on Croglin Fell but if you wish to sample both Croglin and Croglin Fell try walk 25.